Utilising AES67, a subset of RAVENNA, the Sonifex AVN-PHX12 monitor mixer is a 1U rack mounting monitoring device designed in particular for AoIP (audio over IP). The unit can act as a PTP masterclock or slave clock and also supports IEEE1588-2008 PTPv2. A total of 12 audio sources can be monitored from up to 24 inputs at any one time, with inputs including analogue audio connected to any of the four stereo inputs, or stereo digital audio from a RAVENNA, AES67 or AES67-enabled Dante stream.The AVN-PHX12 has a built-in web server that provides complete configuration control including source channel assignment, firmware updates and configuration backup using suitable Ember+ commands. The stereo inputs are routed to twelve rotary volume controllers on the front panel that illuminate green for input levels between -60 and -18dBFS, amber for 'normal' input levels between -18 to 0dBFS, or red to indicate input levels above 0dBFS. Pushing any of the twelve volume controls also activates 'solo' for the related channel. Each of the twelve volume controls has an associated 'Norm/Alt' button to select either normal or alternative input source, a channel mute button and a 'Mono/St' button to assign the output. These buttons are illuminated depending on selection. To the left side of the front panel there are activity indicators for AC power, DC power, AoIP and Clock. Below is a recessed reset button to hard reset the PHX12, next to which is an unbalanced 3.5mm jack stereo input assigned to input 1. To the right of the front panel a 4W loudspeaker can be controlled using a dedicated rotary volume control or mute button, whilst individually driven 3.5mm and 6.35 jack headphone outputs can be controlled with a single rotary volume control. The rear panel of the PHX12 has the remaining I/O connectivity, including individual 50 ohm, balanced, 3-pin XLR sockets for line outputs 1, 2, and 3. Each of these outputs can be assigned to physical output, an AES67 output stream, 'Mix Left' output, 'Mix Right' output, or a mono mix of the stereo output. Two 10k ohms, balanced, 3-pin, XLR inputs make up the stereo input connection for channel 2, whilst inputs 3 and 4 are by way of stereo unbalanced 3.5mm jack sockets. GPI/O is provided via 15-pin D-sub socket to provide ten configurable inputs or outputs. Two RJ45 connectors enable the 1GB network compatibility, with the upper of the two sockets being the configuration and control port and the lower being the AoIP port. A SFP (small form-factor pluggable) connector allows an alternative interface, such as fibre, to be used as the AoIP port, however the use of this input cannot be in conjunction with the AoIP network port on RJ45. An 85-264V AC IEC power inlet is positioned to the right of the rear panel with 2A anti-surge fuse access. 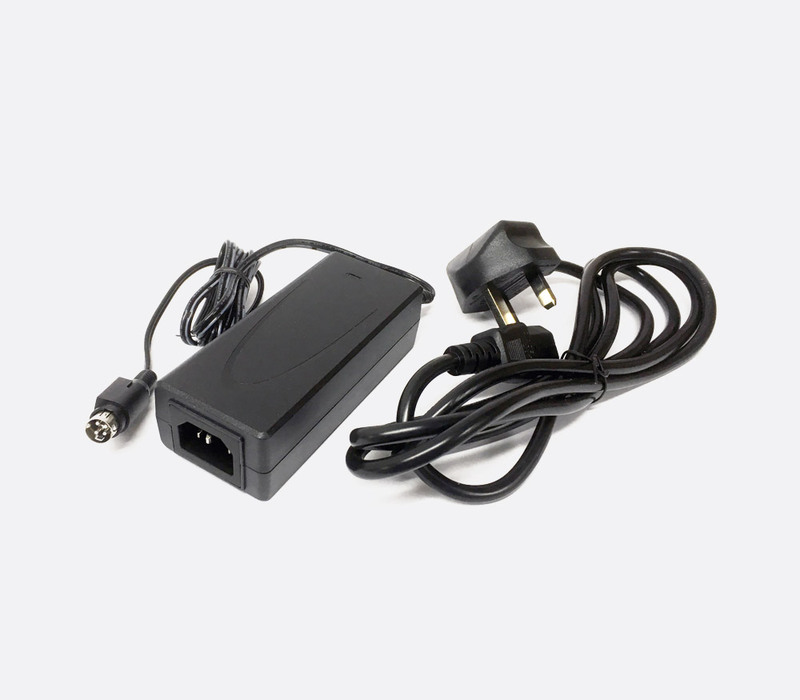 The AVN-DC060 60watt DC power supply can be connected to the 4-pin KPJX 12V DC input at the same time as the AC power inlet. The PHX12 will then automatically switch between the two power sources or load share as required.